So this is a fun little tool. 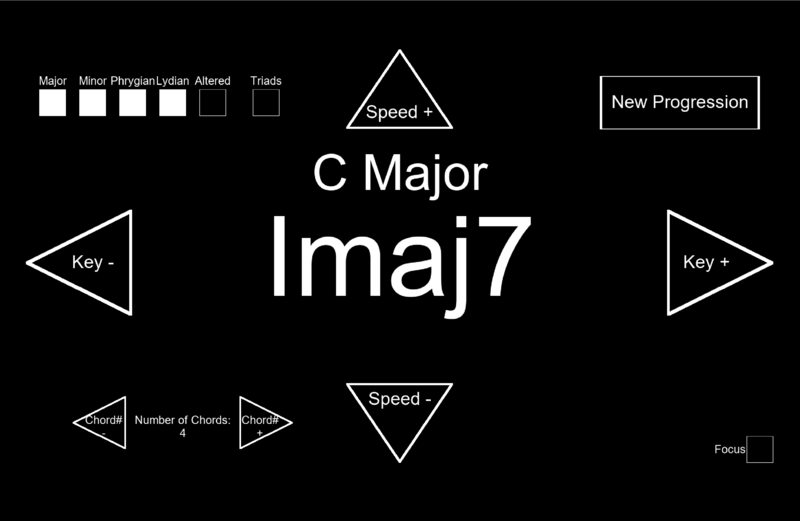 It generates a random chord progression, using "modal interchange" aka "modal mixture", in 7th chords (think jazz). It currently plays the progression on piano, using "pop voicings"
and that's it! I will update it with other stuff eventually, based on feedback, so let me know what you'd like to see! 0.3 - Choice over number of chords in progression, and addition of altered! 0.2 - interface for clicking options and toggling mode choices! This is a very cool idea, saving it for later! Have been using this a bunch, it's great for getting me out of my "comfort zone" chord progressions that I normally tend to lean towards. 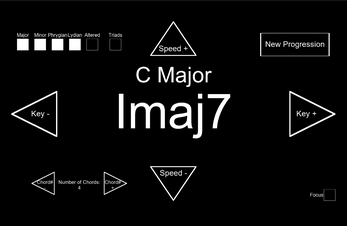 The interface is pretty cool too & more fun to use than a typical webpage or VST. Good stuff! Hey, this is super cool! As someone that isn't musically trained it's hard to figure out what notes the chords constitute - it'd be cool to have a feature that shows that. Really useful tool! I couldn't open it because my computer keeps deleting it because it's a "dangerous file"
Sorry about that, it's in no way dangerous of course, but not sure of the best work around. I know when I get those messages there's usually an option to "open anyway"